SpiceLogic Decision Tree Software software comes with a built-in Probability Distribution tool that you can use to model various probability distribution as Payoff for your Decision Tree. 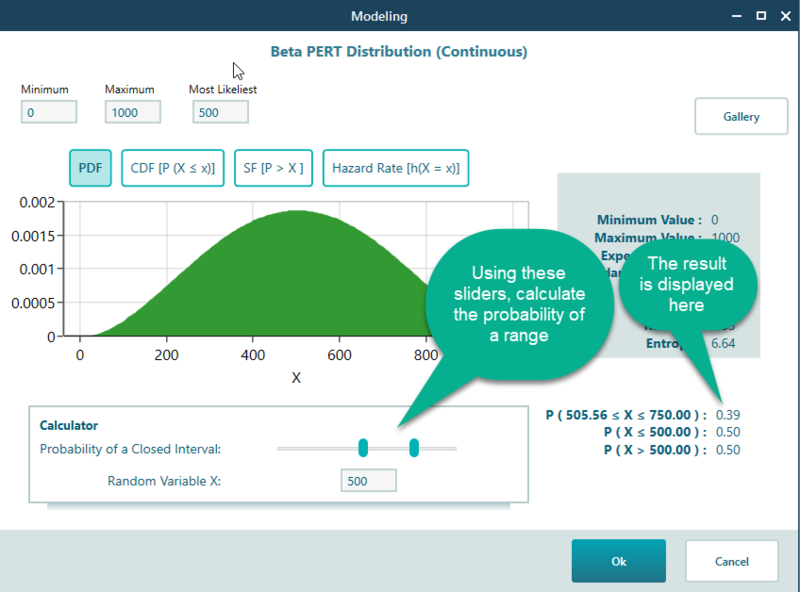 When you have a Number type Criterion or Monetary type criterion, in the Payoff popup, you will find the probability distribution button as shown below. 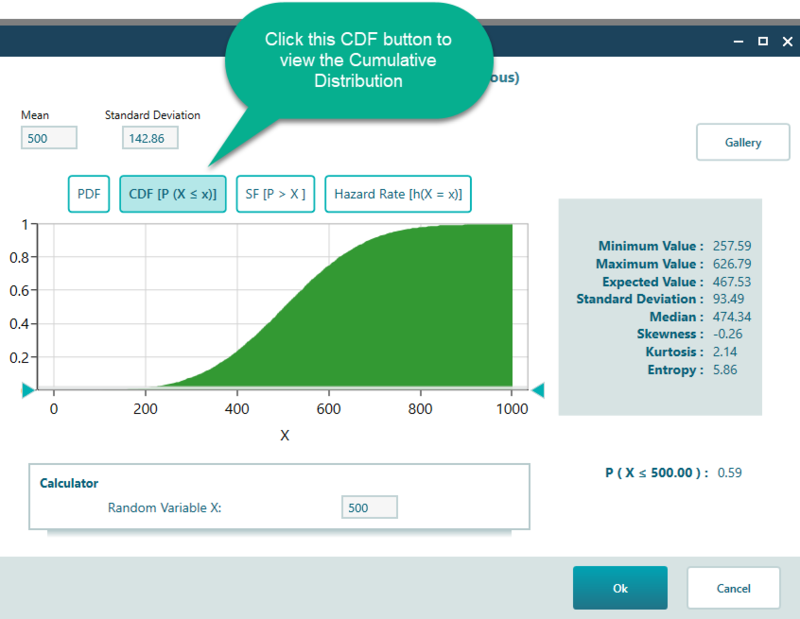 Once you click that button, the probability distribution tool will show up as shown below. It is a very intuitive and straightforward modeling tool. 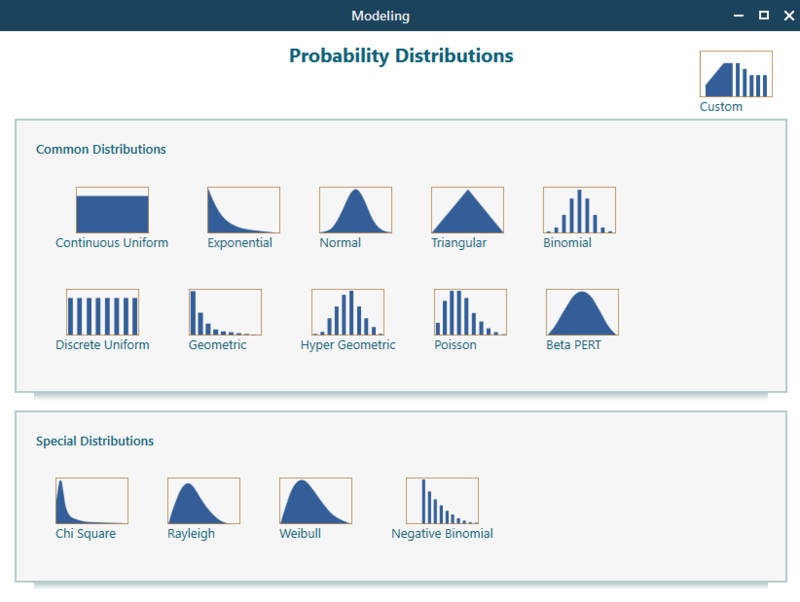 Whenever you start the tool from your Decision Tree node, It starts with a gallery of commonly used probability distributions as shown below. 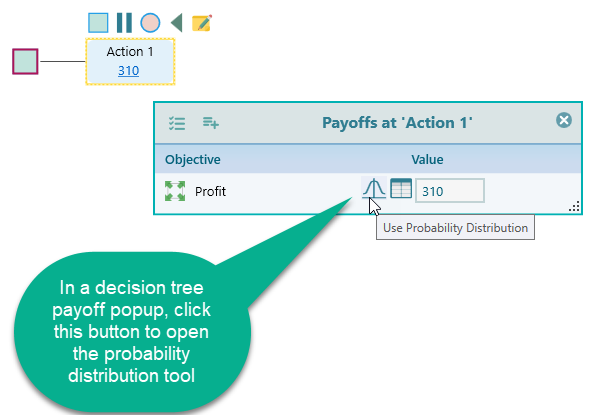 From the gallery, select the distribution type you need to use in your Decision Tree. You can also model a custom distribution using this tool. 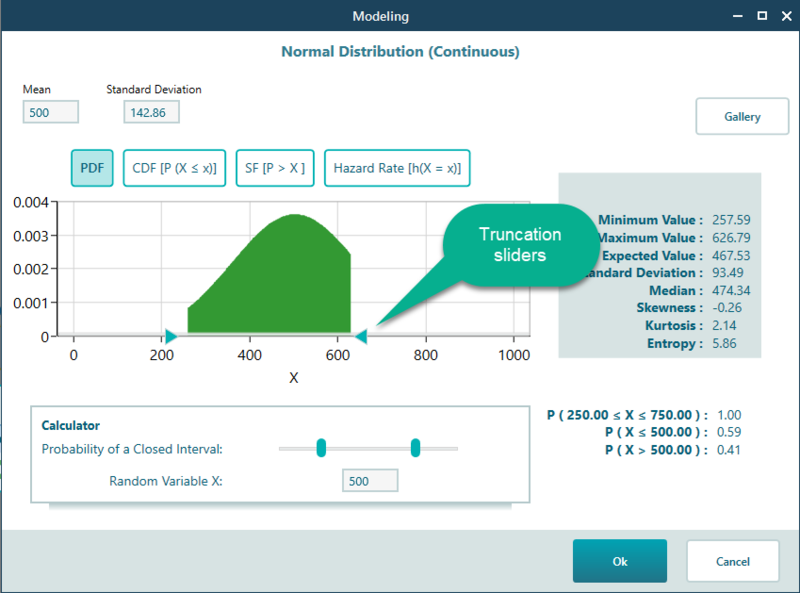 Finally, once you are done modeling your probability distribution, using the calculator sliders, you can calculate the probability of a range of values or a specific random variable value. The range of value makes sense for a continuous distribution.